BITS Exam Dates: BITS released their BITSAT exam dates. Birla Institute of Technology and Science (BITS), Pilani organized engineering entrance test for their own campuses. BITSAT, Birla Institute of Technology & Science Admission Test(university level entrance examination) is conducted to admissions in the various courses offered by BITS, Pilani and its associated campuses.Here you will get the complete schedule of BITSAT 2019 exam dates. 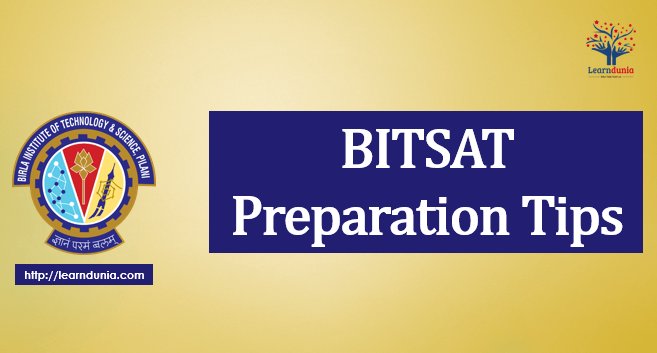 Candidates(10+2) with aggrate 75% marks in PCM/PCB are eligiable for BITSAT Exam, Check BITSAT Eligibility Creteria. The duration of the BITSAT 2019 Exam in 3 Hrs. 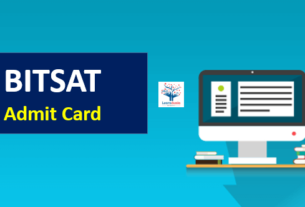 The Admit Card of BITSAT Exam will be available from 7th April 2019, Click Here for more details about BITSAT Admit Card. Candidates can select maximum three exam centers at the time of Filling the Application Form, Check BITSAT Exam Centers. BITS 2019 Application Form has been released now, Click Here to Check notification. Online BITSAT 2019 Application Form has been released on 5th January 2019, Candiates can fill the BITSAT Application Form in the Online Mode only. the Last date of filling the application form is 20th March 2019, candidates can fill the application form till 6 P.M. The Authority will also open the Application Form correction window from 22nd March to 25th March 2019. Candidates can Correct the Application Details on these date. BITSAT 2019 Admit Card will be available from 12th April 2019, Candidates can Download the Admit Card from the Official website of the BITSAT. the Admit Card will be available in the online mode only, there is no other mode to get BITSAT Admit Card. The BITSAT Exam will be held on 16th to 26th May 2019. Duration: Total three hours (without break). Exam Mode: Computer based mode. Type of Question: Multiple choice questions. Marking Scheme: For each correct answer you will get 3 marks. Negative Marking: One mark will be deducted for each incorrect answer. 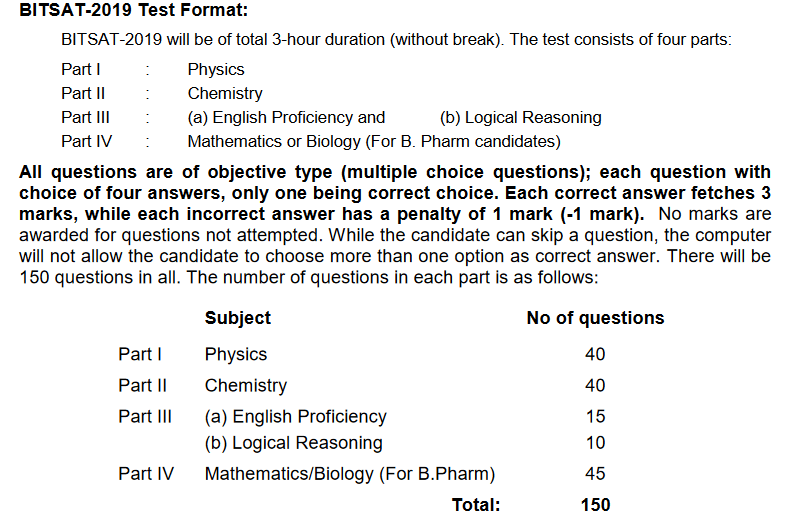 Number of Question: Total 150 questions are in the question paper. In each and every subjects have important formulae, key concepts and equations which candidates need to remember for examination purpose. Here we are listed BITSAT Best Books with subject wise. The minimum marks required to score in the BITSAT examination for candidates will known as BITSAT Cut off. Cut off will be the required marks for providing admission in various courses which are offered by BITS. Once the authority will release the result then it will be released.